More Mexicans and their children, some who are Mexican American, have left the U.S. than have migrated here during most of the administration of President Barack Obama, according to a report released Thursday by Pew Research Center. The overwhelming reason for returning to Mexico was to reunite with family or after starting a family. That finding by Pew Research Center contrasts with the descriptions of Mexican migration as a crisis and out of control that have been heard from the GOP primary campaign trail this year. Pew’s researchers, using data from U.S. and Mexican government sources, found that 140,000 more Mexicans returned to Mexico than came into the U.S. between 2009 to 2014. About 900,000 Mexican immigrants returned to Mexico from the U.S. between 2009 and 2014, many taking about 100,000 U.S.-born children under age 5 with them. Because they are born to parents of Mexican nationals, Mexico considers Mexican-American children also Mexican nationals, so they were included in the overall total. During the same time frame, an estimated 870,000 Mexican immigrants left Mexico to come to the U.S. In addition, the same data sources from Mexico and the U.S. showed that the overall flow of Mexicans between the two countries is the smallest it has been since the 1990s. A majority of the Mexican immigrants who left the U.S. for Mexico between 2009 and 2014 did so on their own, according to a Mexican survey cited in the Pew report. That same survey found that 61 percent cited family reunification as the top reason for why they chose to go back to Mexico. Another 14 percent said they returned because they were deported from the U.S. and 6 percent cited to find a job or because they got a job in Mexico. Ana Gonzalez-Barrera, Pew researcher and author of the report, said these findings are not surprising given that the Mexican-born population in the U.S. has been declining since it peaked at 12.6 million in 2007. What is significant, she said, is that there hadn’t been any evidence to show that the net flow from Mexico to the U.S. was negative until now. “We finally have the evidence to show that the net flow is negative,” Gonzalez-Barrera said. The Pew report points to several reasons that could explain the reduction of Mexican immigrants coming to the U.S. in recent years, including the slow recovery of the U.S. economy following the latest Great Recession, which lasted from late 2007 through mid 2009. 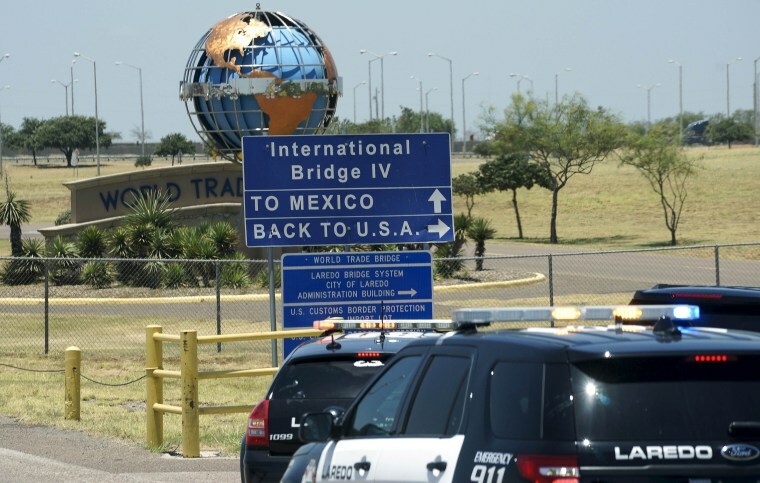 Another reason could be stricter enforcement of U.S. immigration laws, particularly at the U.S.-Mexico border. The report also noted that increased enforcement in the U.S. has led to a rise in the number of Mexicans who’ve been deported since 2005. Obama had been the target of protests last year and earlier for his administration’s record deportation numbers, which were totaling more than 300,000 a year. Immigration activists and Latino groups had dubbed him “deporter-in-chief” for the high deportation rate. Additionally, his administration focused enforcement on people who had been removed previously from the country and were caught trying to re-enter illegally. But the administration also enacted the Deferred Action for Childhood Arrivals program to shield from deportation some 700,000 young immigrants here illegally and has tried to shield millions more. The latest effort has been blocked in the courts by Republican governors. Today, an estimated 11.7 million Mexicans live in the U.S., down from 12.8 million in 2007. This decline, according to the report, has been mostly due to the smaller number of unauthorized Mexican immigrants currently living in the U.S. There were 6.9 million unauthorized immigrants from Mexico living in the U.S. in 2007. That number has dropped to 5.6 million. The Pew report comes at a time when immigration has become a hotly contested issue in the 2016 presidential race. The Democratic presidential candidates largely agree on immigration policy. They support immigration reform with a path to citizenship and agree with Obama’s recent executive actions to protect millions of undocumented immigrants from deportation. Republican presidential candidates, on the other hand, support an increase in border enforcement and some want those here illegally deported. Most believe Obama overstepped his authority when he announced his executive actions on immigration last year. Interestingly, in the 2012 GOP presidential nominee Mitt Romney supported "self-deportation" as immigration policy. The concept was to make life so difficult for immigrants here that they would leave on their own. He lost to Obama in part because he captured only 27 percent of the Hispanic vote. Mark Hugo Lopez, director of Hispanic research at the Pew Research Center, said he doesn’t know how much of an impact the Pew findings will have in this presidential race. “But certainly this is a topic area that the candidates have been talking about,” he said, adding that several of the Democratic candidates in recent debates have referred to a 2012 Pew report that found the net migration from Mexico to the U.S. had reached zero. Lopez also noted that the rise in the number of Asian immigrants coming to the U.S. could impact the immigration debate. He said China and India send the most immigrants to the U.S. each year, and that most Asian immigrants come to the U.S. through the legal immigration system to pursue an education or to work. Some candidates have called for fixing legal immigration policies and billed themselves as legal immigration supporters.